This wonderful holiday for a family of four to Kenya will be going into this summer’s on-line auction for the 2017 cricket tour. Today you arrive into Nairobi – details to be confirmed. On arrival into Nairobi you will be met by a representative of ours who will help you through immigration and to collect your bags. You will then be shown to the arrivals hall where a driver will be waiting to transfer you to Wilson, Nairobi’s domestic airport. Once here you check in for the scheduled Safarilink flight to Lewa. This flight departs at 1020 and arrives at 1130. 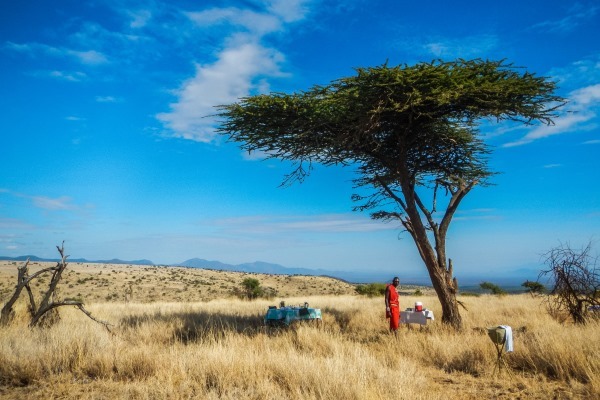 You will be met on arrival at Lewa airstrip by your guide who will take you on a short game drive to camp. Your four night stay is in a family cottage on a full board basis. 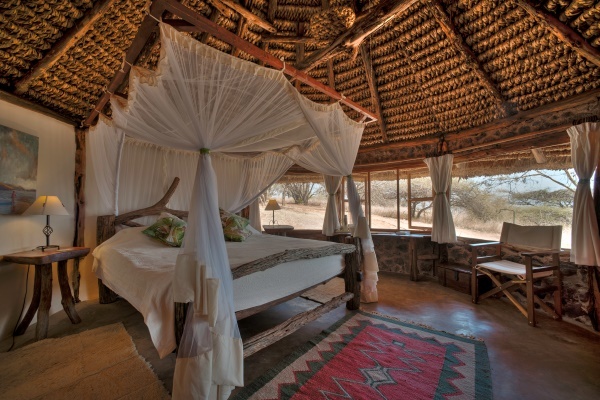 This includes all meals, house drinks, laundry, shared day and night game drives, guided bush walks, one horse ride or camel walk per stay, and pre-historic site visits. Late this morning you return to the airstrip in time to meet the departing Safarilink flight back to Wilson, Nairobi. This flight departs at 1210 and arrives at 1315. On arrival into Nairobi you are met by a driver, who will be at your disposal for the rest of the afternoon – please ask them for restaurant suggestions and activities (meals and entrance fees payable direct). You will be driven to the international airport in time to meet your departing flight home – details to be confirmed. 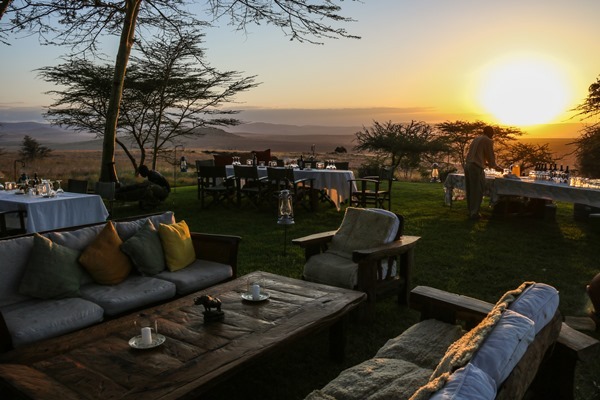 Owner-run and operated Lewa House is situated within the Lewa Downs Wildlife Conservancy in a prime location for observing plentiful wildlife, including many endangered species such as Grevy’s Zebra, rhino and wild dog. 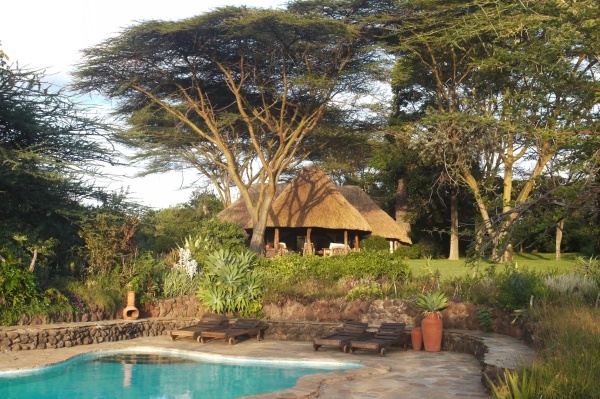 The house and its rooms occupy a fabulous hill-top position, providing guests with awe-inspiring views of beautiful Mount Kenya and the landscape that surrounds it. Lewa House has seven cottage style rooms which are spread out along the hillside, all looking to the expanse of wilderness to the north. There are three original style thatched family cottages, each with two en-suite rooms and a large shared veranda, making them ideal for families. Four newly added single room cottages are built with sustainable, ecological principles in mind whilst still being exceptionally comfortable and spacious, with wonderful views across the surrounding landscape. The main dining area and comfortable lounge are the heart of this property, that was once a family home. 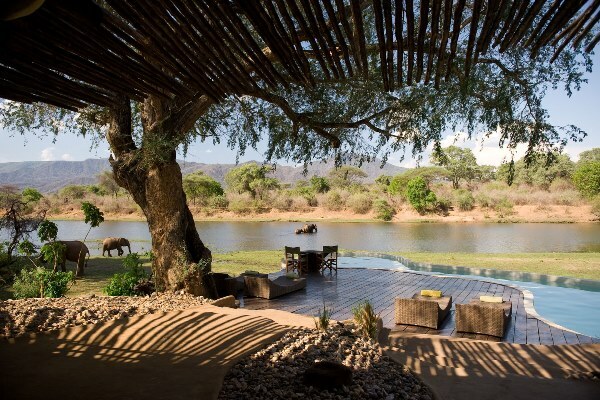 After a thrilling day spent exploring the bush with an expert guide, the large swimming pool, overlooking a waterhole, also offers a chance to unwind whilst providing a more relaxing way to witness wildlife. 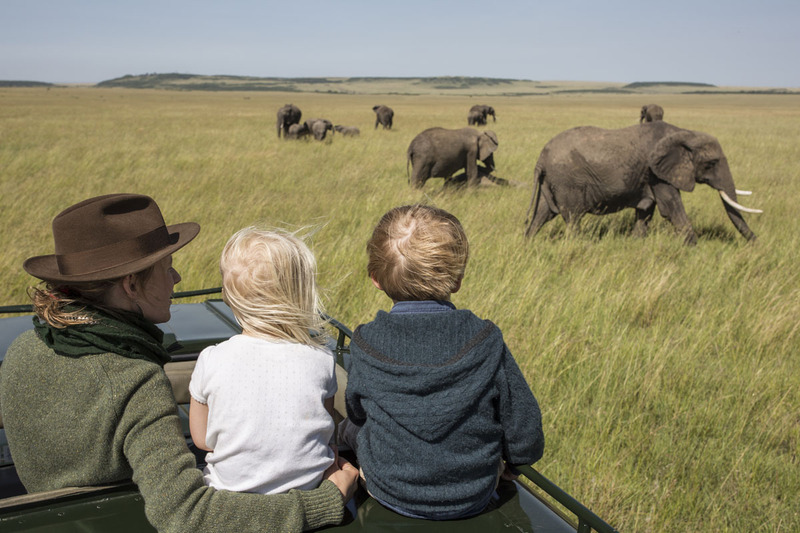 Guests are able to participate in a huge variety of exciting activities during their stay at Lewa House. 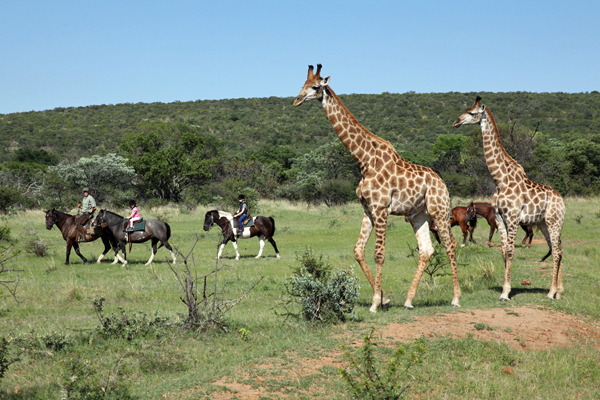 As well as the traditional vehicle based day and night game drives, you can also enjoy fascinating guided bush walks, horse riding, and even unique trips through the conservancy on a camel. 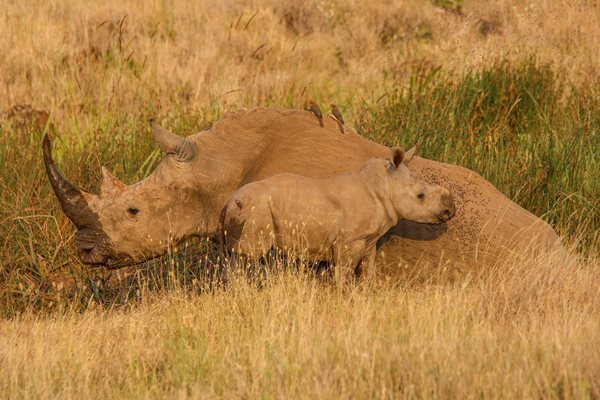 Educational talks explaining the history of the Lewa Conservancy and how it is run on a day to day basis can also be arranged, as can visits to a nearby pre-historic archaeological site with fascinating rock art and an orphan rhino sanctuary. For a truly unique experience, meet the conservancy’s anti-poaching tracking dogs, participate in their training and see them at work. Thanks to the area’s extraordinary biodiversity and natural beauty, the Lewa Wildlife Conservancy and the Ngare Ndare forest were recognized as part of the Mount Kenya World Heritage Site in 2013 as designated by UNESCO. This holiday is worth £10,774 and is valid for travel in October half term 2017. Internal flights with Safarilink (note: strict 15kg baggage allowance per person including hand luggage. Soft bags only – no wheels or rigid frames allowed). Malaria prophylaxis; you are travelling to a malarial area and precautionary medication may be needed. If you weigh over 16 stone then you may be charged for a second seat on light aircraft flights, please let us know if this is likely to affect you. 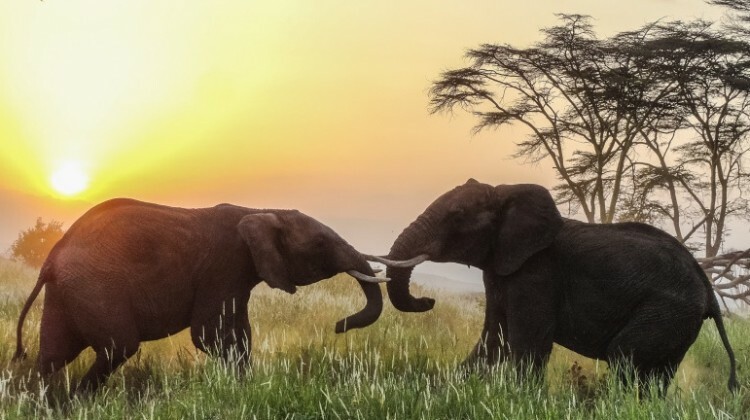 For those not familiar with Aardvark Safaris, we have been planning tailor made safaris to Southern and East Africa, and the Indian Ocean Islands, for the last 17 years. With one of the most knowledgeable teams of safari experts in the business we have at our fingertips the hottest wildlife locations and the best-kept safari secrets. 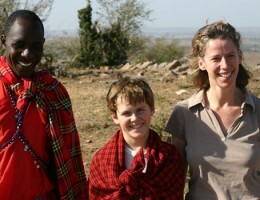 Many of us have travelled to Africa with our own children and planning family safaris is a particular area of expertise. Do take a few minutes to explore our brand new website – you can find out when to travel, get trip planning advice, information on family safaris, the wildebeest migration, Kilimanjaro climbs and a host of other safari highlights. 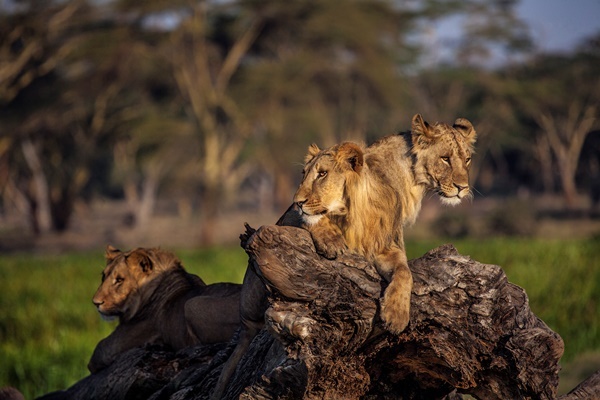 Thousands of images will delight both the safari veteran and armchair traveller. If you’d like to chat about any safari ideas you have, no matter how early in the planning process you might be, do give us a call. Nothing beats the friendly, personal and professional advice offered by our experienced consultants. With Africa as our sole destination, we are real experts in our field and able to offer unrivalled advice on safari holidays.